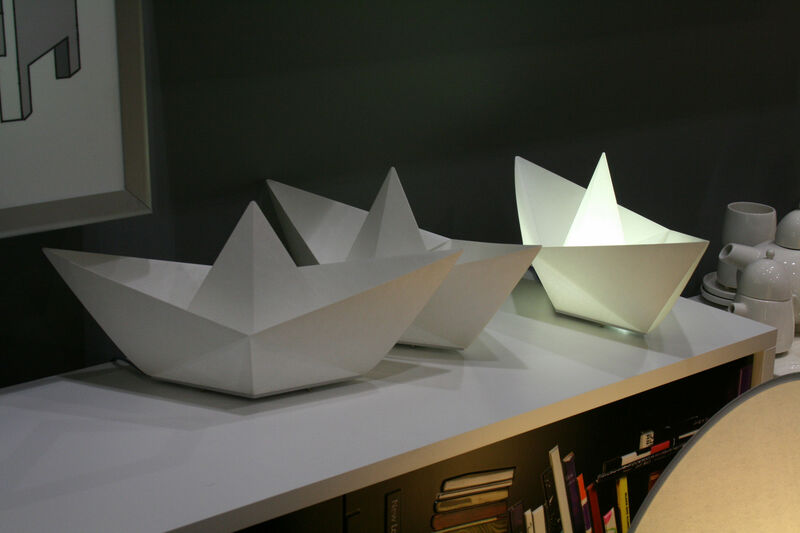 A table lamp similar to a paper boat. It is made of Nomex, an insulation material made by Dupont and used in industry, which makes it fireproof and completely safe. 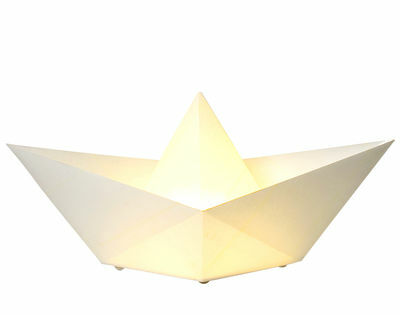 The boat that seems to be made of paper, lights up and does not burn. This surprising playful effect is achieved by taking advantage of the properties af the industrial materials.